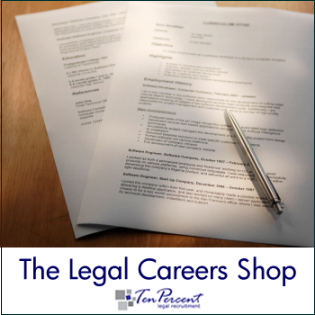 The background: Ten Percent Legal Recruitment is a recruitment agency specialising in the recruitment of solicitors mainly for locum and permanent roles. We received a vacancy from one of our retained law firms using the www.tenpercentunlimited.co.uk service. This service basically acts like an insurance policy – if one of our clients needs to recruit anyone within 5 years then the monthly fee paid to us will cover all the recruitment costs. This particular law firm had a vacancy for maternity cover for about 9 to 12 months, and the field of law was the fairly standard residential conveyancing - one of the busiest areas of law for locum work. As you may or may not realise there are a lot of locum conveyancers out there and getting a 9 to 12 month assignment is fairly lucrative both for the locum and for the recruitment agent. As this was a retained firm I was confident that I had plenty of time to deal with it, because the maternity leave didn’t start until April or May 2019 and it was unlikely that the firm were going to be so daft as to send the vacancy to other recruitment consultants when using us would be completely free of charge under Ten Percent Unlimited. So having established further details about the vacancy I sent it out to our locum list of conveyancing solicitors and legal executives. I identified the town the firm were based in and described the vacancy. The response was quite good for the area and I ended up putting in four CV’s to the firm, from a variety of locums with different levels of experience and conveyancing backgrounds. I sat back and waited for the feedback from the firm, which I knew would not be particularly swift because they were in no hurry to recruit. You can imagine my surprise! However this was not the first time that this pattern of behaviour has been witnessed by our company and we had a similar experience with another client firm a few weeks before this one. We immediately guessed that this was the Venn Group. "Hi [ ], I have just tried giving you a call but understand you were not wanting to take it. I appreciate you are busy. One of our candidates who we work closely with [name of candidate], has heard from an associate of his that your firm is potentially looking to secure a locum. [candidate] is keen to be put forward via Venn Group and would like to be represented by us exclusively." Their terms included the proviso that the client would have to pay 30% fees if they wanted to recruit this particular locum. "ACCEPTANCE - Once you have received this CSA [client services agreement], any act by you of accepting or requesting services from us, or using in any way information from us relating to a Candidate, is deemed to be and shall constitute your acceptance of these Terms of Business which then, in consideration of the mutual benefits set out, apply." The senior partner of the firm was as bemused as I was because clearly the firm had absolutely no intention of paying any recruitment agency a fee when there was no need to, because they were signed up on an exclusive basis with us and did not have to pay any recruitment fees to take on the locum. They had not contacted the Venn Group to request CVs, register the vacancy or in any way intimate that they were recruiting. The only external agency aware of the vacancy was Ten Percent (and our locum platform Interim Lawyers). So have The Venn Group decided to indulge in a spot of ambulance chasing? c) obtain intelligence from the locum to determine roughly where and assignment is and then contact all the firms in the area. We did receive another email from the locum candidate in question to say that he understood the agency had contacted a small number of firms in the town in question on his behalf. There are only a small number of firms in the town in question..
"Members will act honestly in all dealings with work-seekers, clients, members, non-members and others." Were the Venn Group acting honestly when they contacted the client? Seemingly yes. They did indicate that "an associate" of the locum had identified the vacancy and presumably had not held themselves out to the locum as having the vacancy registered to them. "In the course of representing a work-seeker or client, a member shall not knowingly make a false or inaccurate statement, fail to disclose a material fact, or make a representation as to future matters without having reasonable grounds for making it." Did the Venn Group misrepresent anything here? We don't think so - they were pretty clear in their dealings with the locum and the firm. "Members will not undertake actions that may unfairly or unlawfully jeopardise a work seeker’s employment. Members will not undertake actions that may unfairly or unlawfully interfere in work relationships established by others." Did the Venn Group undertake an action that unfairly interfered with work relationships established by others? Quite possibly, but again the code of conduct is not clear on the issue. There is talk of agencies sending unsolicited CVs being in breach of the code of conduct. In this case the agency did have consent from the candidate to send the CV, but they didn't have consent from the firm to act on their behalf in a search for a locum and neither did the firm ask them to send CVs. Was this an unsolicited approach? The locum involved in this incident is not answering my telephone calls or emails to discuss the incident. We understand that our client has immediately ruled him out of the running for this assignment, which is a shame because he looks a very strong candidate. Here at Interim Lawyers and Ten Percent Legal we pride ourselves on the highest level of moral and ethical codes. We do not ask locums to sign exclusivity arrangements but as of 2019 (and following this incident and a few others) we now require all locums to sign NDAs (non-disclosure agreements). For details of our locum services please visit www.interimlawyers.co.uk. Jonathan Fagan is Managing Director of Ten-Percent Legal Recruitment and a non-practising Solicitor. Ten-Percent Legal Recruitment provides online Legal Recruitment for Solicitors, Legal Executives, Fee Earners, Support Staff, Managers and Paralegals. Visit our Website to search our Vacancy Database (unless you are another recruitment consultant - in which case please don't!). NB: If any of the parties named in the article would like to send us a reply to publish in the article itself we would be happy to oblige.